Pioneer P009 67 Mustang, Jerry Titus. Preorder now! – $54.99. The one you’ve all been waiting for! 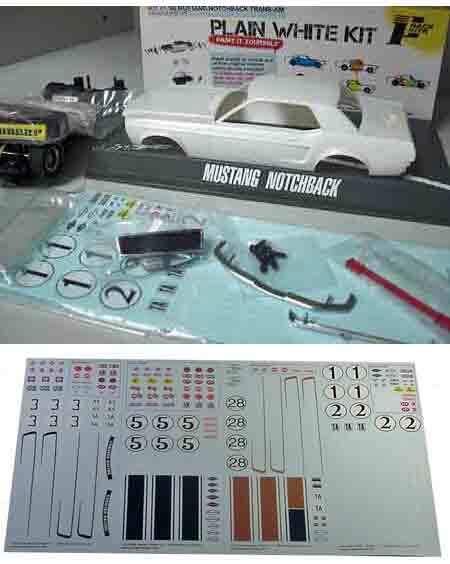 Pioneer PWK1 1968 Mustang plain white kit. Preorder now! – $46.49. Check out that decal sheet that comes with it!